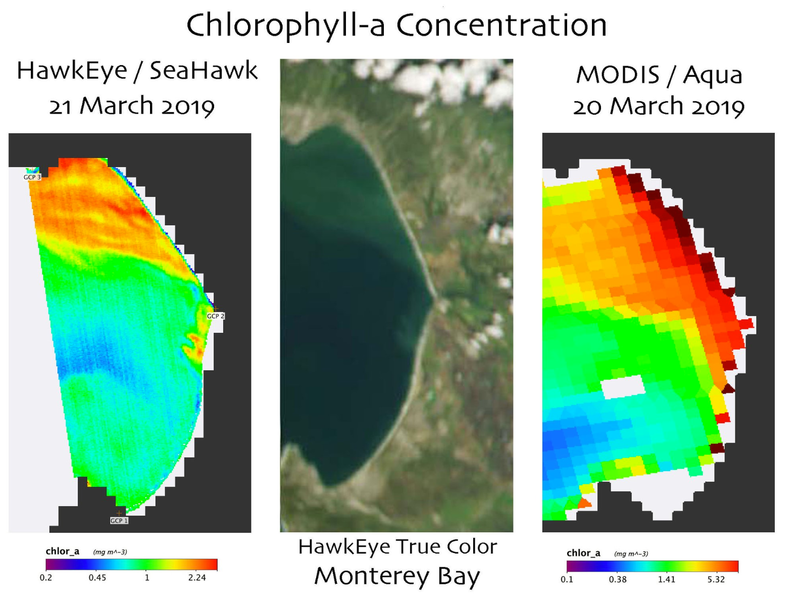 [29-Mar-19] The left portion of this image shows scaled chlorophyll-a retrievals for Monterey Bay, as measured by the HawkEye instrument on Seahawk on March 21, 2019. The data to the right are from MODIS/Aqua one day earlier. The center image is a cropped image focusing on Monterey Bay, captured by HawkEye. The HawkEye chlorophyll data reveal the small scale variability in ocean chlorophyll concentrations, made possible by its high resolution.